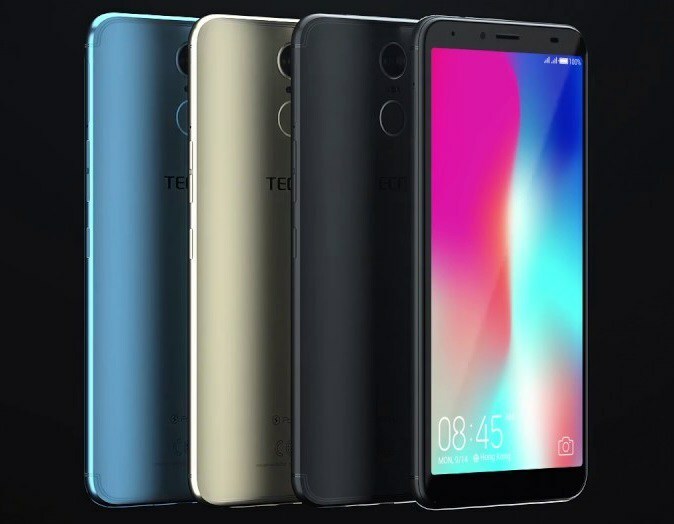 TECNO MOBILE released Tecno Pouvoir 2(LA7) android smartphone few months back with thousands of units sold so far in Nigeria. The budget smartphone comes in sleek design with some interesting features like Face ID, 4G connectivity, powerful 5000mah battery, and many more. Pouvoir 2 is widely available in the market at a very affordable price. But before you buy, do well to read through this reviews to serve as a guide. WHERE TO BUY TECNO POUVOIR 2 CHEAP? Tecno Pouvoir 2, like I said earlier has a nice sleek design with beautiful curved edges. Made from polycarbonate material with big display. The smartphone offers HD+ resolution and sized 6.0-inch. Pouvoir 2 smartphone is pretty light to handle with 1440×720 pixel resolution. It also comes with 2.5D curved glass. Pouvoir 2 has a simple rear finish with a single camera found at the rear. Fingerprint scanner is also seen below the rear camera and front view contains the selfie flash and camera. 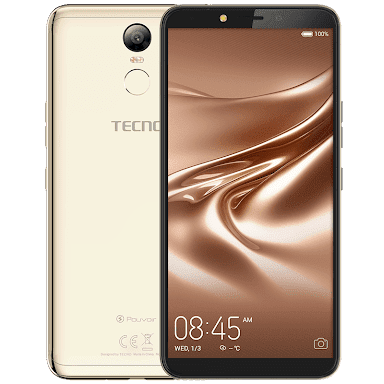 Tecno Pouvoir 2 runs on Android 8.1 Oreo and works perfectly with quad-core chipset. The smartphone has a MediaTek MT6737 processor with a Mail-T720 MP1 GPU which is okay considering the category it belongs to. The smartphone also comes with 2GB RAM which is fair enough for a budget android phone. The internal storage is 16GB and can be expanded with microSD card up to 128GB. The Tecno Pouvoir 2 smartphone has a pretty decent rear camera for a clean and clear pictures. The rear hosts 13 Mega Pixel shooter with dual LED flash. The front packs 8 Mega-Pixel selfie shooter with LED flash. The front camera supports Face ID and takes great selfies. When we talk of battery in smartphones, I don’t see myself using any smartphone with poor battery capacity. This is one feature I love in Tecno Pouvoir 2. Battery!! The phone packs 5000mah non-removable Li-Ion battery but the sad thing is that the battery doesn’t support Fast Charging Technology. That’s bad. But just one full charge can keep your device on for up to 96 hours. Tecno Pouvoir 2 is widely available in Nigeria, Kenya, and Ghana. You can buy the smartphone at any leading online stores and Tecno retail outlets throughout the country. Tecno Pouvoir 2 price in Nigeria ranges from N42,600 to N59,000 depending on your location and the deal.